Mountain biking can be loads of fun. It helps to stay fit and in the process provides you with an excellent means to work out your body. 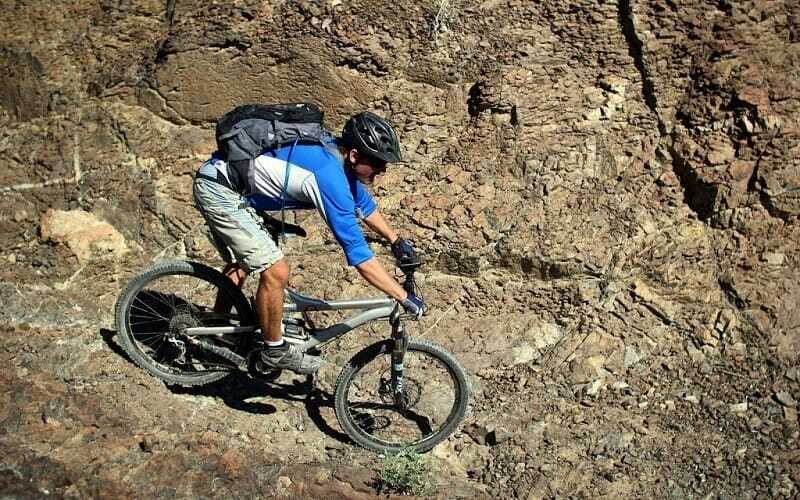 The nice thing about mountain biking is that it relieves stress and ensures that you become more alert and vigilant. Best of all, people who take to mountain biking say that it helps them become more focused. The simplest beginner mountain biking tips can help you get more out of your mountain biking experience. Just make sure that you opt for specially designed bike that can be used for off-road cycling and which allows you to negotiate over rough and unpaved roads as well as steep inclines. The bike that you choose should also allow you to negotiate rocky terrains and it should also be suited to biking on logging trails as well as dirt tracks. The first tip that you will get as a beginning mountain biker is that you should learn to stay safe. As far as possible you should go with high-end braking so that you can not only brake when riding at high speeds but also retain full control over your bike. Secondly, before you take to mountain biking as a beginner, you need to make sure that you get a good feel of your bike’s pedals and you should also practice pedaling when standing on your bike’s pedals. Also, make sure that you retain full control over your bike at all times and that you ride at a speed that allows you to exercise full control over your bike. Thirdly, when you are riding down a sharp slope, you must learn to sit on the seat and ensure that you do not end up falling over the handlebar. Also, make sure that you apply the proper amount of pressure on your bike’s handlebars. It pays to keep a low stance on your bike and your body should also always be close to your bike. Fourthly, you need to understand how to handle a fall from your bike. In case you fall or about to fall make sure that you ride at a suitably slow speed to minimize injuries to yourself and your bike. And, when you are negotiating obstacles you must learn to glide over them properly. It may take some time before you learn to glide over different hurdles. So, practice till you are sure you know how to affect the glide. Fifthly, if you want to minimize the impact of any shocks that you feel when riding your mountain bike you must learn to let your shoulders stay loose, and you also need to bend your elbows at the same time. Sixth, when it comes to riding safely, it makes sense for you to always remain alert to any impediment on the track. Always think about how you can negotiate impediments safely and with minimum risk of accident or falls. To stay safe, always wear a helmet, as it will prove to be invaluable in keeping your head safe from head injuries. At the same time, you also need to make sure that you wear the right kind of mountain bike shoes. Another useful beginner mountain biking tip is to remember to keep your body well hydrated. It should have the right amount of water content in it. One way of ensuring suitable water content in your body is by consuming non-melting energizers, which play a very crucial role in, especially hot and cold days. Also, make sure that you eat a properly balanced diet and that the foods that you eat properly nourish your body. Finally, it makes sense to wear clothes that are appropriate to the existing weather conditions. Be sure to wear something that will protect you from the wind and ensure that you wear comfortable gloves and that you are able to protect your body against not just the weather but also against potential injuries. And, remember that you should not attempt mountain biking unless you are physically fit and that you have trained your body for the ordeal. Before you take to mountain biking, you should also learn a little bit about the different kinds of mountain biking. Be sure to know the difference between cross-country, downhill, dirt jumping, BMX, cyclocross and free ride as well as street and urban riding. The thought of riding a bike over a mountain may seem to be a simple and straightforward thing. However, there is more to it than pushing the pedals. One important thing that you need to do is understand how the gears on your mountain bike work. Also, learn how to use the best shifting strategies and finally, be sure to get out and do as much practice as you can. These few tips can help you become a champion or an accomplished mountain biker in next to no time.